Quality man and van removals in Earls Court is what we have in store for your home or office. We have the expertise, capacity and manpower to organise and complete successfully a wide range of property relocation projects without any errors, delays or high costs. We also provide a reliable and versatile goods delivery service open to all private individuals and commercial entities in SW5 and SW10 areas. The company has all required licensing, registration and holds comprehensive insurance coverage on all services offered. Our dedicated and highly efficient removal teams are a valuable company asset. We work with qualified drivers and experienced porters skilled in all aspects of professional removal and delivery services. Our moving technicians and drivers take all necessary measures to ensure quick and safe removal of all valuables, without any delays or other errors. Should the need be there, our removal crews can also deal with important prep work like packing and securing of items prior to shifting and removal. With us customers have true freedom of choice when it comes to selecting the right type of service. We not only maintain and provide a wide range of solutions, but have left most of them open for customisation – convenience and flexibility for our customers. The company is also licensed and qualified to organise and perform a number of additional services, available together with removal or booked separately. One off/regular delivery of household & office supplies, commercial goods etc. Additional services available right now are: professional cleaning treatments (including tenancy), packing and storage, delivery of packing materials, rubbish removals & clearances. With us, quality work and punctuality will not cost a small fortune, quite the opposite. Our removal and delivery solutions in SW5 and SW10 areas provide excellent value for money in all instances. Earls Court is a Central London area within the RBKC. One of the former places of interest there is Earls Court Exhibition Centre – one of the largest indoor arenas and performing venues in England, though it is officially closed since 2014. 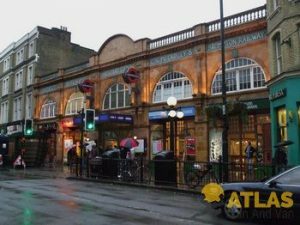 Historically a small rural village, Earls Court formed as early as the Norman Conquest. For more than 500 years, Earls Court was owned and governed by the Vere Family – Earls of Oxford. In later times, it was the arrival of the railways that signalled development and urbanisation of Earls Court. By the late 1800s the former rural village had turned into a densely populated London suburbia. We are one of the best man and van firms in SW5, SW10 Earl's Court today and it shows. Our top notch movers and packers are licensed to carry out domestic and commercial relocations in the area alike, and they have done so for a very wide range of clients, from homeowners to renters to businesses. 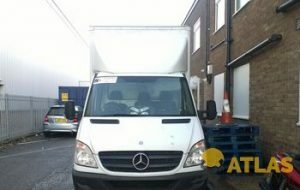 Our Earl's Court man and van service will help you relocate your entire home or just a single bulky piece of furniture. What is important is that the job will be completed quickly, properly and free of stress. Earl's Court SW5, SW10 is a major district in the Royal Borough of Kensington and Chelsea. Its main claim to fame is the Earl's Court Exhibition Centre, which used to be one of the largest indoor arenas in the country as of the day of its closure in 2014. The district has population of well over 9000 and is considered to be pretty affluent. Earl's Court is also reputed for its beautifully preserved early Victorian architecture.